16 December 2015 – Today, Saudi blogger Raif Badawi was awarded with the European Parliament’s 2015 Sakharov Prize during an official ceremony in Strasbourg, France. The prize was received by Ensaf Haidar, wife of the imprisoned blogger, who is currently residing in Canada with their three children. The Sakharov Prize for Freedom of Thought was established in 1988 in honour of Russian nuclear scientist and human rights activist Andrei Sakharov, and it is the highest tribute to human rights endeavours the European Union accords. The Prize is awarded annually to honour individuals or organisations for their efforts for human rights, fundamental freedoms. The European Parliament awards the Sakharov Prize with its €50 000 endowment during a formal ceremony in December each year. The prestigious award observes in particular freedom of expression; safeguarding the rights of minorities; respect for international law; development of democracy and implementation of the rule of law. Raif Badawi was arrested in 2012 and charged with insulting Islam via electronic channels, apostasy and was accused of being secular. Mr Badawi wrote a personal blog, the “Saudi Free Liberals Network”, which had over 10.000 members, on a regular basis, on which he preached for tolerance, freedom of religion and freedom of speech, among other human rights and fundamental values. Such exercise of free expression cost him a sentence to 7 years in prison and 600 lashes in 2013. Further, in 2014 his sentence was increased to a total of 10 years in prison, a 1000 lashes and a fine of 1 million riyal (approximately 230.000 €). On 9 January 2015, Mr Badawi received the first 50 lashes of his 1000, in a public flogging in Jeddah (Saudi Arabia), and for the moment no further floggings have been administered. Mr Badawi was recently transferred to a new prison facility, and according to his wife is undergoing a hunger strike since 10 December 2015 as a protest. Raif Badawi’s case, and subsequent imprisonment and flogging have caused huge international spark and criticism among the international NGO community, but international political and governmental organisations have also voiced their concerns over Mr Badawi’s case, demanding his release. Awarding the Sakharov Prize to Raif Badawi is another strong call, by the European Union, on the need for Saudi Arabia to respect human rights and freedom of expression and religion, as well as to release Raif and drop all charges against him. ECDHR welcomes the European Parliament’s decision to highlight Mr Badawi’s case and stand up for human rights. Further, we recall the continuous and widespread violations of fundamental freedoms and human rights most citizens of the GCC countries face under the authoritarian regimes, such as the Saudi or Bahraini royal families. ECDHR calls on the government of Saudi Arabia to immediately and unconditionally release Raif Badawi, as well as other key Human Rights Defenders unjustly imprisoned in the Kingdom, such as Badawi’s lawyer Waleed Abdulkahir, also imprisoned and sentenced to 15 years for defending human rights. 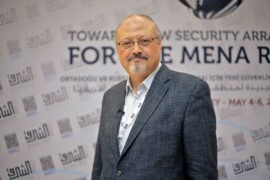 We also call on the government of Saudi Arabia to fully respect international human rights law, as well as the Rule of law, the independence of the judiciary and fundamental freedoms for all.